Yesterday my laptop first got dark, like the minimum level of brightness. But it was still working. It happened during I was plugging of the external hdmi cable (external monitor). Then, I tried to rise the brigtness via fn+ f6 (i think). It didnt work. So, I turned it off to turn on again. It didnt work. When I push the power button, I can hear the hdd's sound. I can see the lights. But never screen worked. Then I realize that after a little while, the hdd light starts to flashing with a constant time period. Like a car's turning signals. Then I started to find a solution on net. Lots of ppl said it happens because of static electricty. They say remove the battery, plug off the charger and then hold the power button for 60 seconds. 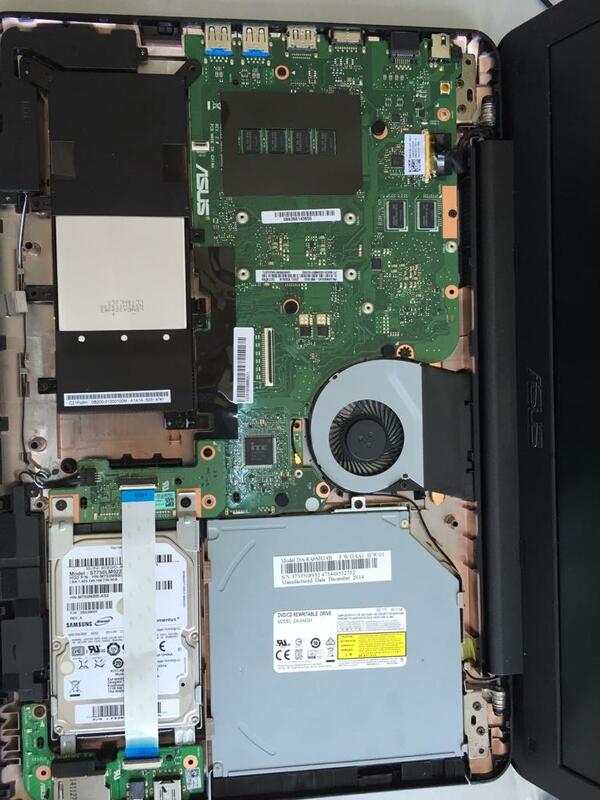 However, this laptop's battery can not be removed from the backside but the inside. Like %#*@ iphones. Well, I disassembled it and I did it too. It didnt work again. Then I checked net again. Someone said. Disassembly all of it then gather them again. I did it too. Then, it was started not to work via power button if it is not plugged in charger. Also, when I plugged in, it started to start automatically. - fan (cooler) doesnt work. And: it is a new computer just came to me yesterday but have no warranty. Dont ask why, it is long story. And otherside of motherboard: can someone tell me, where is the cmos battery? I have similar symptoms but in my case it was caused by a water spillage. I do wish the batteries were easier to remove in a hurry when such a thing happens. My daughter's Asus in this case, was totally dead after the spillage but after following a YouTube video and baking the motherboard in an oven it now has the same symptoms as above. Anybody else got any fixing suggestions? This sounds like a combination of things. First of all, the minimum brightness sounds like your backlight is no longer functional. The black screen but signs of the unit being powered on would typically indicate your LCD panel is knackered, supported by the fact the brightness went just shortly before. The not powering on without a charger being plugged in is likely simply due to the battery being flat. As the screen isn't working, you can't see the battery indicator. When a laptop's battery is flat, it's common for it to power on automatically as soon as the charger is plugged in, both my laptops do this. If you want to go down the LCD panel replacement route, I've had good experience getting replacements from AccuPart.co.uk, have used them dozens of times for LCD panels. The actual replacement process is pretty simple, especially as you've already cracked your laptop open once. Just be careful threading the cables, particularly the WiFi antennae, through the hinges correctly or you risk shearing them in half. Your other symptoms are a little unusual though. 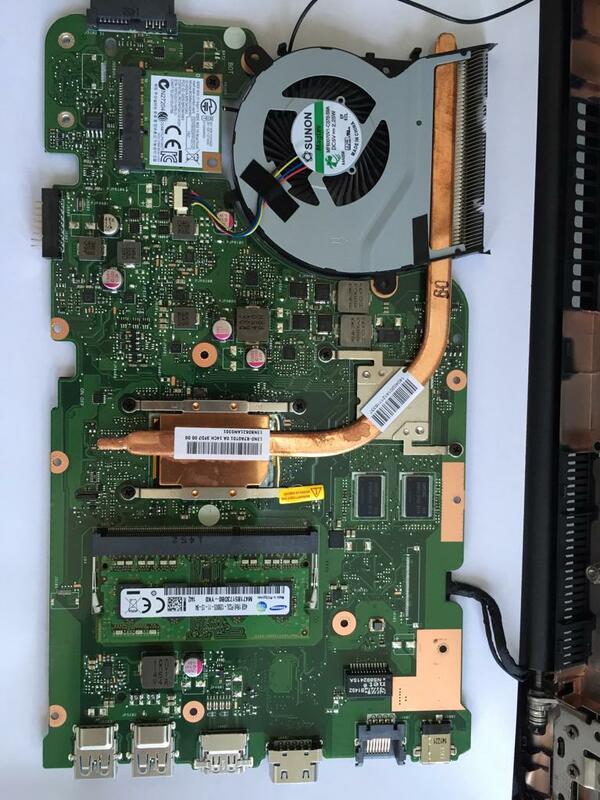 The disk tray not working and the fan not working could be symptoms of a dead motherboard, as someone suggested, however as you're cracked your laptop open are you sure you fully inserted the CD tray back in and reconnected the CPU fan cable if you disconnected it? If you're sure, try googling your laptop model plus "hdd light blinking". If this is some sort of error code, you should get a hit for it. Failing that try googling your laptop model plus "error code lights" and see if you can get a list of error codes for your laptop. emrullahgazioglu will be eternally grateful.